Yadira Medina Garcia was brushing her teeth in a North Salt Lake apartment at 10:45 p.m. on July 18, 2007, when the lights went out. The front door crashed open and a Salt Lake City Police Department SWAT team stormed in. At gunpoint, the 21-year-old new mother to 15-day-old first child, Galilea, and her 36-year-old common-law husband, Rafael Garcia Pintado, were forced to the floor. Salt Lake City police had tracked the couple to their apartment. 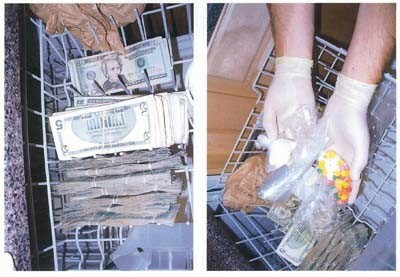 Cops found cocaine, heroin and $11,660 in cash in the top shelf of the dishwasher. While neither of the undocumented couple were noted as drug users in the police report, both were charged with two felony counts of possession of a controlled substance with intent to distribute and one of child endangerment. Rafael has a long list of drug charges under various aliases dating back to 1998, but the birth mother had no prior criminal record. Neither spoke English. The police report hypothesizes that if the infant’s bottles had been washed in the dishwasher, the baby would have been exposed to narcotics. Yadira, who was later deported and now lives in the Mexican resort town of Mazatlan, claims she didn’t even know how to use a dishwasher. Caseworkers for the Utah Division of Child and Family Services [DCFS] arranged an emergency-shelter placement for the baby. 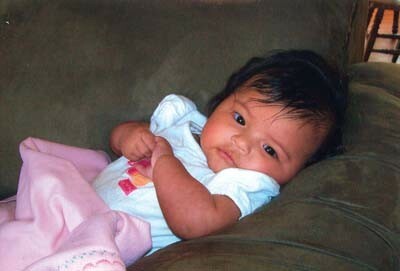 A few days later, the infant was placed with a foster-adopt family in Bountiful. According to DCFS logs on the progress of Galilea’s case, caseworkers were charmed by the “cute” infant and particularly with the foster mom, Jennifer Hess. Within less than a month, Hess had given the baby a new first name and was telling social workers she and husband Aaron hoped to adopt her. “Jennifer is a fantastic [foster mother],” ran one caseworker entry. “She is so pleasant and understands the system well. She is very low need.” Yadira Medina Garcia’s crime, she feels, was simple: She was in the wrong place at the wrong time with the wrong man. And it cost Yadira her child. The moment the SWAT team kicked down the couple’s apartment door, it set two distinct processes in motion: One was the criminal charge, the other, an up-to-11-month judicial ticking clock to determine whether the birth parents would be reunited with their daughter. The court ordered DCFS to help the parents work towards getting Galilea back. In prison, Rafael did not complete any court-ordered courses. Yadira took all the courses she could. But, the deck was stacked against her. Not only was she in jail, but she faced deportation upon being released. It seemed all but inevitable she would lose custody. The tenacious grandmother didn’t speak a word of English when she came to Utah on March 20, 2008, on a humanitarian visa secured for her by the Salt Lake City Mexican consulate. For the past 12 months, she has relied on the kindness of strangers, sleeping in spare bedrooms and traveling everywhere by bus with her satchel of court papers, photographs and notes—documents she eventually brought to City Weekly. Through consolate-appointed lawyers, Rosaura filed a petition for custody on April 10, 2008. Judge J. Mark Andrus denied it on Jan. 29, 2009, because, in part, of a missed deadline and an apparent misunderstanding about custody protocol for international adoption. Provo-based attorney Paul Dodd reviewed the case at the request of the Mexican consulate. “It’s unjust not to be considered for placement because [Rosaura]’s from Mexico,” he says. Even more so if, as DCFS chief Betournay speculates, “The judge may have had bad information”—the mistaken idea that children are not placed with relatives abroad. In fact, Mexican placements are permitted. According to Betournay, there are several known cases of children in Utah’s child-welfare system who have ended up either reunited with their biological mothers in Mexico or placed with kin south of the border. That’s thanks to a memorandum of understanding [MOU] that DCFS signed with the Salt Lake City Mexican consulate. Betournay unearthed an unsigned, undated draft of the document after City Weekly brought Rosaura’s custody fight to his attention. Not only were the judges in this case apparently in the dark about the existence of such an agreement, but they were allegedly told by DCFS caseworkers that birth mother Yadira had failed to keep in touch with DCFS upon being deported to Mexico. According to court documents, the latter was a key factor in Judge Andrus’ terminating the birth mother’s parental rights on Jan. 29, 2009. Yadira says it wasn’t that she didn’t contact DCFS. She claims to have done so repeatedly only to get her caseworker’s voice mail, where she left messages. Her calls, she says, were never returned. Betournay acknowledges that all things being equal, “placement with kinship is the preferred outcome.” Nevertheless, it is likely Rosaura will not succeed in getting her granddaughter back, whether due to bureaucratic glitches, or, as Rosaura suspects, a degree of prejudice within DCFS and the courts where it is thought Mexican children are better off being adopted and raised by more affluent Americans. In Mexico, the equivalent of the Division of Child and Family Services is known as Sistema Nacional para el Desarrollo Integral de la Familia or DIF. 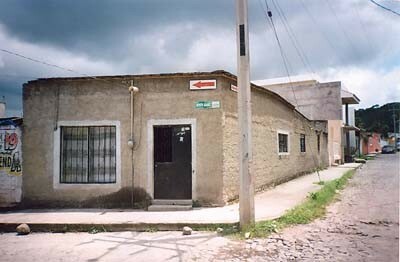 In the foreign agency’s evaluation (or home study) of Rosaura Garcia Murillo, it is noted she sells bread and hamburgers, and her husband and son repair machinery in the small town of Xalisco. They earn 11,000 pesos a month, about $800. In a country where the minimum wage is around $3 per day, according to Website Mexico Child Link, such an income suggests they are well off. Or were, until Rosaura had to abandon her businesses to her spouse and spend a year in Salt Lake City fighting the state of Utah. Her daughter Yadira was a hairstylist when she met Rafael in Xalisco. “He spun sweet stories of life in el norte,” Rosaura says. On Sept. 2, 2006, Yadira crossed the border illegally, hiding behind the seat of a truck. She met up with Rafael in Salt Lake City. Several months later, she became pregnant with Galilea. 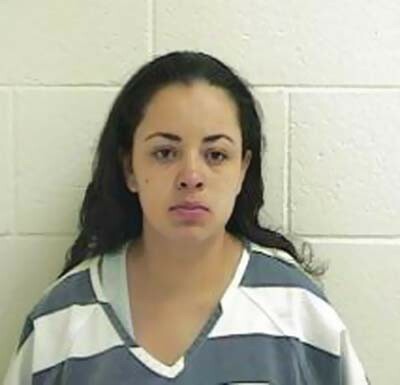 After the couple was booked into Davis County Jail, the court ordered DCFS to attempt reunification between the parents and the child, which meant they both had to take parenting and addiction classes, although Yadira says she never had a drug evaluation. Rafael, Judge Andrus wrote in his ruling, “did not avail himself” of the classes. Yadira took a LDS substance-abuse program and also eight parenting classes from a courtapproved course at Davis High School. Her course supervisors wrote about her “sweet spirit” and positive attitude, even if she didn’t understand much of what was said. That sweet spirit was tested by a system that seemed intent on ignoring her, and particularly by Isaac T. Rodenbough, a Clearfieldbased DCFS social worker. Rodenbough left the division several months ago and declined an interview request with City Weekly because, he says, “he is ethically bound” not to comment on cases. The one person from DCFS who is talking is director Betournay; he reviewed the case, noting, “I can’t say that I saw anything that alarmed me.” Two blood relatives expressed an interest in adopting Galilea. One was Rafael’s sister, Margarita Garcia Pintado, who lives in California. The other was the child’s maternal grandmother, Rosaura. Several weeks after her daughter’s arrest, Rosaura sent Salt Lake City’s Mexican consulate the DIF home-study report. The consulate notified the court and sent the DIF papers to Rodenbough on Aug. 2, 2007. According to DCFS logs, Galilea’s first social worker, Emily Redd, informed the consulate she didn’t know how “to get Galilea’s g-ma custody of her.” The biological parents expressed a preference for the California relative, because, Rafael says, she was a legal U.S. resident. The court ordered a home study of Galilea’s aunt Margarita through California Child Protective Services. They subsequently would turn down Margarita because of financial and family problems, even though Galilea’s aunt said she would seek employment and wanted the child. A cousin of Rafael’s also came forward, only to be discounted as “illegible” for kinship placement by Rodenbough because he was undocumented. On Nov. 11, 2007, Yadira pleaded no contest to a felony possession and intent to distribute narcotics charge and child endangerment. Rodenbough was keen to move things along with placing Galilea. On Nov. 15, 2007, after only five months into the minimum eight-month-process for reunification with the parents, Rodenbough asked the juvenile court to terminate reunification efforts because “DCFS is unable to work with the parents while incarcerated and as they are likely going to be deported to Mexico.” The judge refused, partly because they hadn’t been sentenced. That November court date was the last time Yadira saw her daughter. 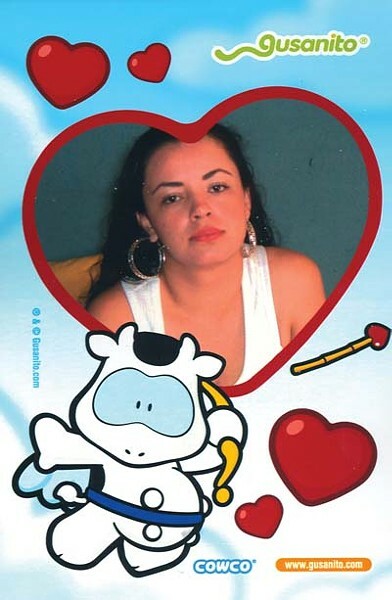 In total, she saw Galilea three times after she was arrested, all while in court. She was not allowed to hold her child. On Nov. 15, according to Yadira, Rodenbough, who held the baby in his arms, let the child’s father kiss her cheek. “[Rodenbough] refused to lower her to let me kiss her,” she says. On Nov. 21, 2007, in the Farmington courthouse, Judge Darwin Hansen, hearing Yadira’s criminal case, sentenced her to 250 days, with credit for time served. When asked before sentencing if she had anything to say, she begged the judge in a tiny voice, “If you could please give me a chance to be able to get my daughter back?” Meanwhile, Rosaura, still in Mexico, filled out a kinship application on Nov. 28, 2007. The consulate forwarded it to Rodenbough on Dec. 10, 2007. 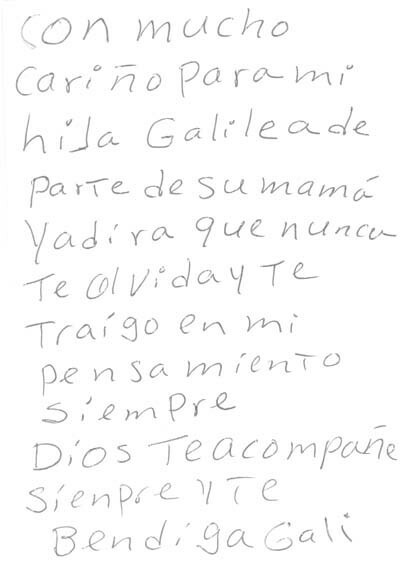 In a March 1, 2008 letter, written weeks before Yadira was deported, Galilea’s biological mother informed Juvenile Court Judge Diane Wilkins (who has since retired) that Rodenbough didn’t file Rosaura’s home-study papers with the court. When a friend of the birth mother asked Rodenbough why he didn’t file the paperwork, first sent in August, then again in early December, “he answered that he did not know where they were supposed to be filed and that he did not have the time to investigate,” Yadira wrote the judge. Finally, on Jan. 7, 2008, the consulate filed Rosaura’s application with the court. On Jan. 10, 2008, Judge Diane Wilkins terminated reunification services for the parents. With the state no longer attempting to bring parents and child together, all they had left was their rights as parents. The biological parents requested that maternal grandmother Rosaura adopt Galilea. According to court documents, Wilkins asked “the parties,” including the DCFS caseworker and then-assistant attorney general Sonia Sweeney, if there were any international agreements or treaties with Mexico that would allow this. They told the judge they were unaware of any. This, despite caseworker Rodenbough telling a different judge in Yadira’s criminal case on Nov. 21, 2007, that he was working with the Mexican consulate to try and place Galilea with Rosaura in Xalisco. Apparently misinformed, Wilkins ruled on the parents’ request that Rosaura have the child, that absent an international placement agreement, since the child was born in the United States and was a U.S. citizen, the child should remain in the United States. American citizenship, it seems, trumped a child’s right to be with her own kin, at least if that child is from Mexico. Attempts to contact Judge Wilkins through the Utah State Courts and at a private address were unsuccessful. Four days later, a Mexican consulate official e-mailed Rodenbough, requesting he bring the baby to the consulate so she could be registered as Mexican. This was a request the biological parents had made from the beginning, Yadira says. Rodenbough e-mailed back the next day that after consulting staff lawyers, he was declining to provide the baby with dual nationality. Reflecting upon it later, DCFS director Betournay said, “It sounds to me like it was a matter of not knowing who can be registered and how to go about registering them.” Even still, if the child had been registered as Mexican, it might well have complicated the adoption plans that the state had for Galilea. In the wake of Wilkins’ ruling, the Mexican consulate secured a humanitarian visa for grandmother Rosaura and asked her to come to the United States. The consulate hired two lawyers to represent Rosaura’s petition for custody of Galilea. Then-49-year-old Rosaura had never been abroad. On March 20, 2008, she went straight from Salt Lake City International Airport to the Davis County’s 2nd District Court in Farmington. Clutching her suitcase, 5-foottall Rosaura entered Judge Diane Wilkins’ juvenile court. Yadira was in court in white jail garb, chained at the wrists and ankles, along with her common-law husband, Rafael. “Never in my life have I seen someone treated like that, least of all my own daughter,” Rosaura says, tears in her eyes. She visited her daughter in jail the following Sunday. Her daughter couldn’t believe she was there. “Mama, you’re so brave,” she told her through the plexiglass on a phone. “You’re a strong woman, I feel proud of you.” Several days later, Yadira was taken to Immigration and Customs Enforcement offices in Ogden. She asked to see her baby, but all her documents including a list of phone numbers with DCFS contacts had been taken from her. She was sent to downtown Salt Lake City for several hours prior to being dispatched to the airport. She asked to see the juvenile court judge on her daughter’s case but was told she had no right to see her. In shackled hands and feet, she was put on a plane for Ciudad Juárez in Mexico. It was then her papers were returned to her. She cried as she shuffled onto the plane. All she could think about was, she says, “When was I going to see my daughter again?” Yadira tried again and again to get through to Rodenbough from Mexico, she says, but her calls went unanswered. Today, she lives in Mazatlan, five hours from her family’s hometown. She was told it might help her mother’s case to adopt Galilea if she lived far away. Yadira now works as a personnel manager in a pharmacy in the resort city. On April 7, 2008, Rodenbough brought the child to the DCFS office to meet with her grandmother for the first time, when she was granted weekly visits by DCFS and the foster family. Rosaura says she told him her story, her belief that “the child shouldn’t have to be paying for what the parents did.” She says he told her, “Aqui los sentimientos no importa.” Here, feelings don’t matter. The judge criticized Yadira for having “dropped the ball” and “disappeared for the last year” since her release from incarceration. 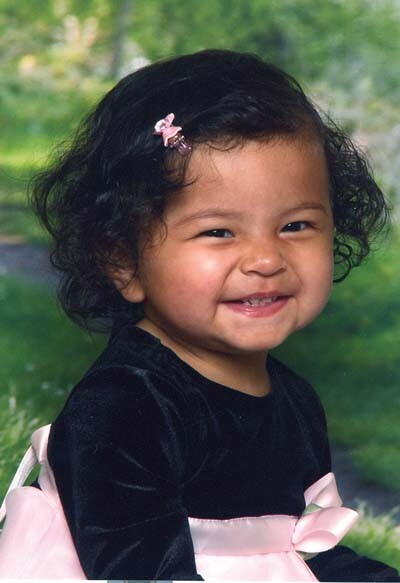 How could she inform DCFS of her whereabouts, Yadira asks, “if Isaac never answered the phone, never returned my calls [from Mexico]?” Andrus noted that Galilea had been in a foster home for 18 months “and has developed love and affection” for the couple who want to adopt her. And then there was Rosaura Garcia Murillo, he added, “who had gone to considerable time, expense and trouble” to travel to Utah, to develop a relationship with the child and petition the court for her custody. The Utah Child Welfare Act, Andrus noted, “mandates a strong preference for placing a child with relatives.” But the grandmother, he wrote, “was hampered” by several factors: She was 10 days late, according to Utah law, filling out a kinship application. Her reliance on the Mexican consulate “proved not to be well placed, as they did not help her to comply with Utah law.” DCFS was not able to process it, he wrote, because there was no way to do a criminal background check and home study. That, however, is incorrect, given DCFS’ agreement with Salt Lake City’s Mexican consulate to work together to place children with relatives in Mexico, where appropriate. Neither DCFS nor the consulate can find the final signed copy of the agreement so no one, as yet, knows the date it was agreed. “The obvious fact that neither one of us can find a memorandum of understanding would indicate there’s probably some communication breakdown,” DCFS head Betournay admits. Internal communication seems little better. A court report prepared by Galilea’s DCFS caseworkers makes reference to the MOU as follows: “The consulate has reported to DCFS that there is a treaty allowing for this placement, however DCFS has been unable to locate this information.” Yet both the assistant attorney general, who advises DCFS workers on their cases, and a DCFS employee informed the court that they were unaware of any international placement agreement. City Weekly’s efforts to seek comment from Judge Andrus on Galilea’s case as well as recordings of the juvenile court hearings were denied. Utah State Court’s spokeswoman Nancy Volmer wrote in an e-mail that the judge is unable to comment because the case is ongoing. The Mexican Consul Manuel Morodo rejects the idea that Rosaura’s failure to bring Galilea home is the consulate’s fault. While the child was born in Utah, Morodo says, according to Mexican law, the child is Mexican. The judge’s ruling included unusually emotive language. “Grandmother’s petition asks the court to tear this child away from the only family [the Hesses] she has ever known, where she has been provided with proper and loving care,” he wrote. In the end, the child would stay where she was in preparation for adoption. Consul Morodo was surprised by the decision. 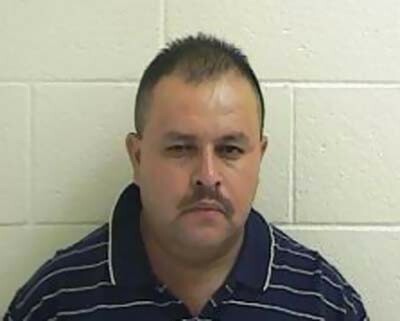 It also took him off guard that DCFS refused to register the child as Mexican. Attorney Paul Dodd, who reviewed the case for the consulate, is critical of the ruling. “The statute doesn’t require you fill out paperwork,” he says, only express an interest. “DCFS knew she was interested, there was no doubt about that.” The court’s position “that it’s in the child’s best interest [to stay in Utah] is egotistical and absurd,” Dodd says, noting that if the grandmother had been living in the United States, she would have got the child. 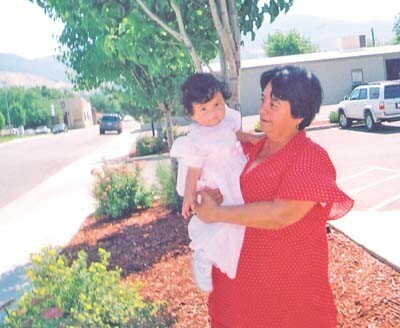 Rosaura allowed a reporter to accompany her to one of her weekly visits with Galilea at the DCFS offices in Bountiful. “Sit down,” she told the reporter in the lobby of the building. “You’re in my home.” Foster mother Jennifer Hess arrived on time, accompanied by Galilea and her two foster-siblings. When Hess learned Rosaura was accompanied by a reporter, she summoned the new caseworker, Kristy Kelly. “I signed a confidentiality clause,” Hess told the reporter. While the two boys played with toys and Galilea toddled up to her grandmother, the social worker and foster mother discussed curtailing Rosaura’s visit. “This is not for public display,” Kelly said. The reporter left and the visit continued. A week later, Rosaura went for her visit, taking some yogurt treats and summer sandals for her granddaughter. Through an interpreter, Kelly told her there would be no more visits. State lawyers did not want photographs of Galilea going out across the United States. Rosaura went outside and cried in the wind-swept street. “I have no reason to go on,” she said. Seeing Galilea each Wednesday was what kept her going, gave her hope. “How dare they say, ‘Because she’s born here, she’s ours?’” she cried. 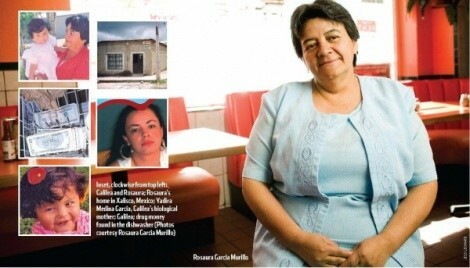 On Wednesday, April 9, Rosaura received a call from the Mexican consulate. The court was holding a hearing on Galilea the next day. A consulate official had always accompanied her to these hearings. This time, the hearing fell on Jueves Santo, Holy Thursday—the day before Good Friday. The consulate office was closed for the Easter holiday. That Thursday, Rosaura went to the 2nd District Court in Farmington with no lawyer to represent her and no interpreter. The judge ordered a case review in 90 days on July 9, 2009. Rosaura sat in the second row behind the smartly dressed foster family and a social worker. She hadn’t understood a word. Good Friday, April 11, was the last day for Rosaura to file a request with the Appeals court for more time to raise funds to hire a lawyer and appeal Andrus’ decision. Good Friday, she says, was when Christ fell three times on his way to the cross, when he uttered the last seven words. The Appeals court clerk apologized to the grandmother. The interpreter was off that day. The pro se application for an extension was not translated into Spanish. She stood on the corner of 400 South and State Street, waiting to cross. Why, Rosaura asks, should the child pay for the sins of the parents? Or, it might be asked, for DCFS communication breakdowns, both internally and with the Mexican consulate? The traffic light changed. Rosaura started to cross the street but didn’t see a dip in the asphalt. She fell down, crying out in pain. “Don’t, don’t,” she told the two men who tried to help her up. Finally, she got to the other side of the street. The week after her visit to the Appeals court, Rosaura found out she was not granted an extension. She remained determined to fight on and, in mid-April, found a lawyer to take her case, even though he described it as an “uphill battle because the judge probably won’t want to revisit his decision,” especially since almost twoyear-old Galilea’s foster family is the only one she’s ever known.